When your energy runs out, recharge your batteries in an Easy Camp CHAKRA sleeping bag. Whether you’re hitting the festivals, backpacking, or just chilling at a friend’s house, the CHAKRA will make sure you get a great night’s sleep. Bright, light, compact and easy to carry, you can simply throw it in a bag and go. The geometric shape offers plenty of wiggling room. Best of all, it comes at a brilliant price for even happier adventures. With a single layer of polyester insulation, Chakra rectangular sleeping bags deliver entry level performance at very competitive prices and can be opened fully, adding to their versatility. They are a great option for new campers.The chakra is a duvet style bag and comes with a stuff sack. 1 - 2 season for the warmer months or indoors use. New campers, young festival fans and families starting tent life will all enjoy the smart styles, contemporary prints and colours used with carefully chosen combinations of materials, components and insulation that offer reliable warmth and comfort on site, at home or travelling. 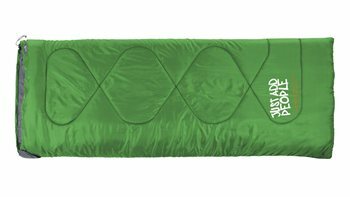 In smart rectangular and mummy styles, Easy Camp sleeping bags offer a wide range of comfort options for adults and children enjoying outdoor adventures. Our lively prints and vibrant colours complement our tent ranges with contemporary style. In snug designs packed with features from anti-snag zip guards to neck baffles, carefully chosen materials and insulating fill deliver flexible warmth. Versatile Image coats offer fun and comfort with ingenious style for chilling out at outdoor events and festivals. Designed to fit comfortably, our easily washed travel sheets add comfort and convenience reducing the need for campers and travellers to wash their sleeping bags. COOL STYLE WITH SNUG WARMTH! Everything you need for a good nights sleep,warm,roomy,easy clean and quick drying.